You can specify session history settings for jobs performed on the backup server. From the main menu, select General Options. In the Sessions section, specify the number of sessions to display in the Sessions list of the History view. 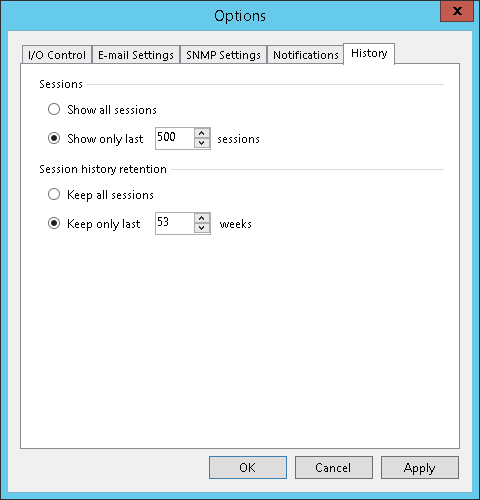 In the Session history retention section, specify the number of weeks for which Veeam Backup & Replication must keep session information in the configuration database.